Need to Convert OST file to Outlook Suffices Here! You have just sighted an adept OST Recovery Tool, which you might be looking for! At the time, MS Exchange, which is the Server for your Outlook email application, if items get corrupted; you lose access to your crucial email data stored from Exchange OST files. Our company gives you the perfect solution for OST file to Outlook PST conversion and will let you recover OST emails, notes, contacts etc. After the conversion presses; you will be able to open and read. 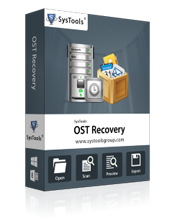 This expert third-party software solution is standalone OST Recovery tool. Advanced OST File to Outlook App: You can use this advanced and easy to use software parcel to convert OST to Outlook and recovery process. This resourceful OST to PST toolkit is result-oriented and well suitable to fix corrupted files easily. Moreover recovered database can be convert in to functional personal storage file in little time. FREE Demo Version Tool: We provide you free version facility so that you can evaluate the efficiency of the utility before investing in this OST File to Outlook Tool. With Trial Version of the this application program you can see the working process of the application plus can analyze the outcome properly. Convert OST in different formats like OST to Outlook formats (PST and MSG) and to Outlook Express format, EML. 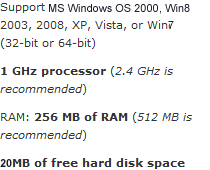 Preserve the exact formatting of RTF and HTML as it was before. Recover OST totally with items like mails, items of journals, professional and personal contacts, tasks etc. With the help of this key tool you can save your messaging environment when Exchange Server crashed and users need to view their emails from immediate effect. Tool also can convert OST file to Outlook file when Exchange user account is deleted mistakenly. Invest In Full Licensed Version: If you want to use this app for unmited files then you are required to invest in full operational version of the tool. Full Working version of OST File Recover kit allows to save the recovered OST files and items. Cost of Personal License is $99, and Business License is $199 only.